It's easy to see from this viewpoint of the French Quarter how New Orleans is known as The Crescent City. The Supreme Court building is the prominent building on left. St Charles Cathedral is behind the Supreme Court and the Mississippi River is on right with a steamboat parked along the waterfront beckoning travelers to take a trip down America's waterway. 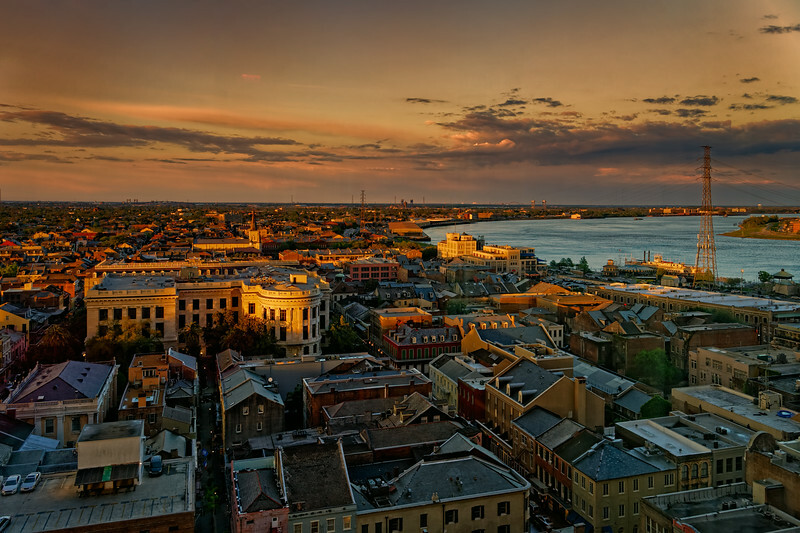 This image was taken from atop the venerable Hotel Monteleone.